If you’re not in the mood for festivals yet, this next look will send you there. Apart from the rest of this ensemble looking on point, it’s the adidas Falcon that brings the whole look home. 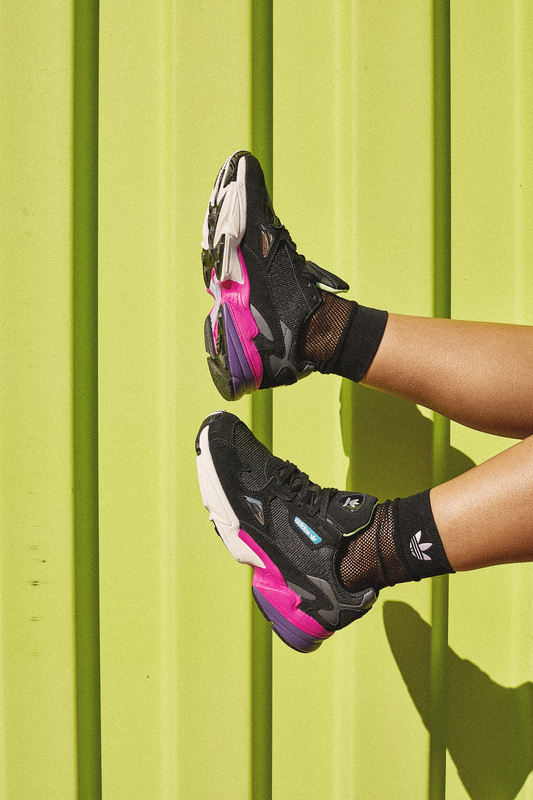 The chunky sneaker style is still in full effect on the streets and this adidas Falcon has a standout appeal with the pop of shock pink. This release will also feature Falcons in hi-res yellow, collegiate navy and ice mint, so you’ll have plenty of options to walk the musical fields this year. Just in time for the spring and summer season, you can’t go wrong pairing these kicks with our adidas Originals apparel when packing your suitcase for a fun weekend away. Get your pair of the adidas Originals Falcon 4/11 at finishline.com.